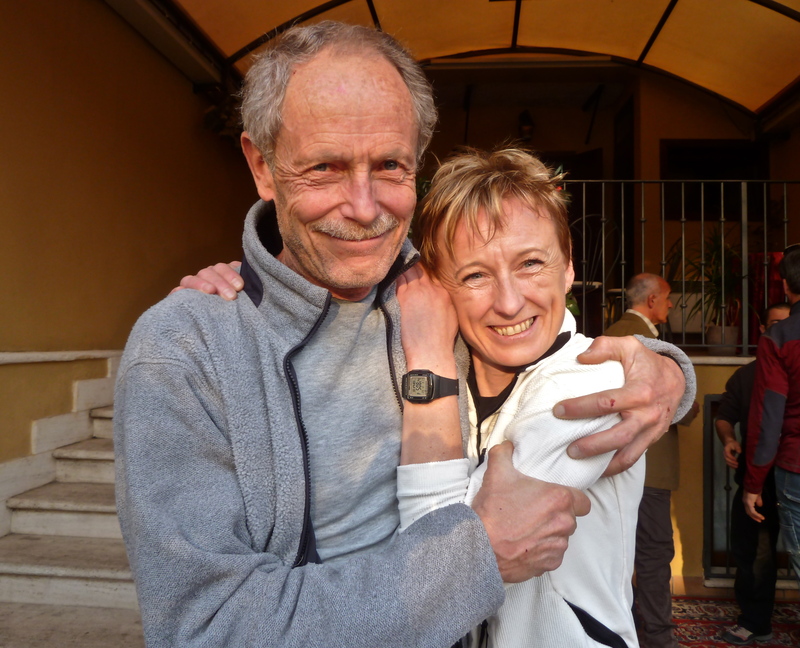 Romano Benet and Nives Meroi are the most legendary mountain-climbing couple I've come across. Their individual accomplishments aside, few hours back, these two summited Mt. Makalu, completing 13 of the 14 eight-thousanders. In true alpine style, all of Nives's and Romano's 8,000 m climbs have been completed without supplementary oxygen and without sherpas. It has been said that "(...) their style of mountaineering belongs to another era." Romano Benet ( Tarvisio , 20 April 1962 ) is a mountaineer Italian .